This isn’t the cheapest deal in the world but it’s still at a great price considering it’s a new item from Lego. I’m not sure we are going to see the price on this one much lower than this. Head over to Amazon.com and get this Lightning Deal for the LEGO Cars Big Bentley Bust Out for $49.99, reg. $69.99. This offer is only valid the next 3 hours! Free shipping with Amazon Prime. Amazon is having another LEGO Lightning Deals day! They did this a couple days ago and boy did they sell out in seconds! Here are the items that will be on sale today, with the starts times. Amazon keeps the actual deal hidden until the last second so be prepared at the start time. Even if the deal is over, you can still get on the “wait list.” Many times they come available and you’ll still get this great price! 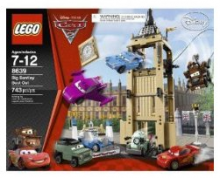 Offers Nov 17, 2011 in Amazon, family, kids, Lego, toys · Expired! I’m so bummed my post didn’t go out earlier but there is still time to get in on these Lego Lightning deals today. Amazon.com is having a huge Lego sale but they are “Lightning Sales” meaning, you have to be very fast! I think there will be two more today so set your clocks! 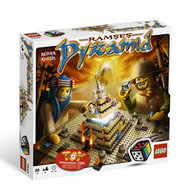 5pm pst: The Mummy King Ramses is planning on conquering all of Egypt with his army of mummies! Make sure you head over to Amazon.com here to get in on these deals! Lego stores will be having their monthly mini build event on July 6th. Stop by your Lego store and build a free Lego project. Lego events start at 5:00 pm and go until supplies last. One free per child. Event is open to children aged 6 to 14 only. This month kids will be building a really cute watermelon. Perfect for summer! 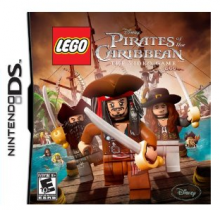 Offers Jul 6, 2010 in free, kids, Lego · Expired!